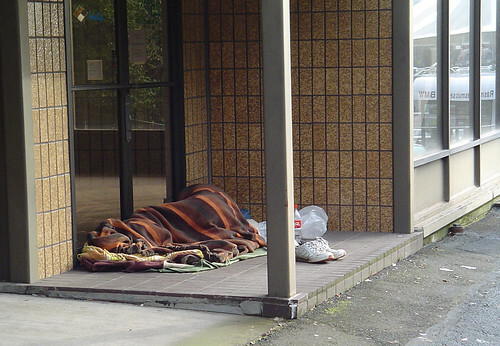 Portland has its share of homeless people. The man (I assume) found a good place to sleep. It is out of the weather and this section of the building is vacant. Note the reflection in the windows to the right. It reads "Rasmussen BMW."